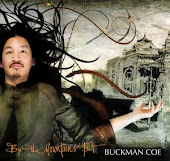 On Friday, we joined forces with singer songwriter, Buckman Coe (Bucky), to tell the story of Siddartha by Herman Hesse. It was held in the magical Sun Yat Sen gardens to a very appreciative audience. Many talented musicians, dancers and actors were also involved in the show. Bucky's music is genuine and soulful, it was a pleasure!